Figure 8.1 (a) Varieties of copolymer molecular structures attainable though the polymerisation of two different monomers represented by O and (b) Representations of random atactic, isotactic and symmetrical copolymers. It is apparent that polymer molecules will have a much wider range of physical properties than small chemical entities. 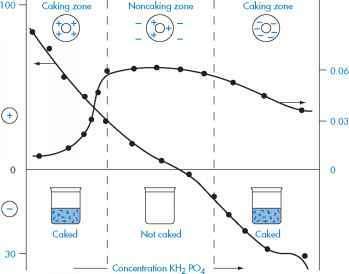 Even when considering one chemical type (for example, polyethylene) the properties of the product may be altered by increasing or decreasing the molecular weight (Fig. 8.3). There is a possible degree of control over properties which there is not with simple organic materials and, generally, it is because of this that synthetic polymers have an advantage over many variable natural polymers. Natural materials can be modified chemically, and this approach can lead to useful new products, as with those derived from cellulose or dextran. The structural formulae of some common macromolecules are given in Table 8.1.